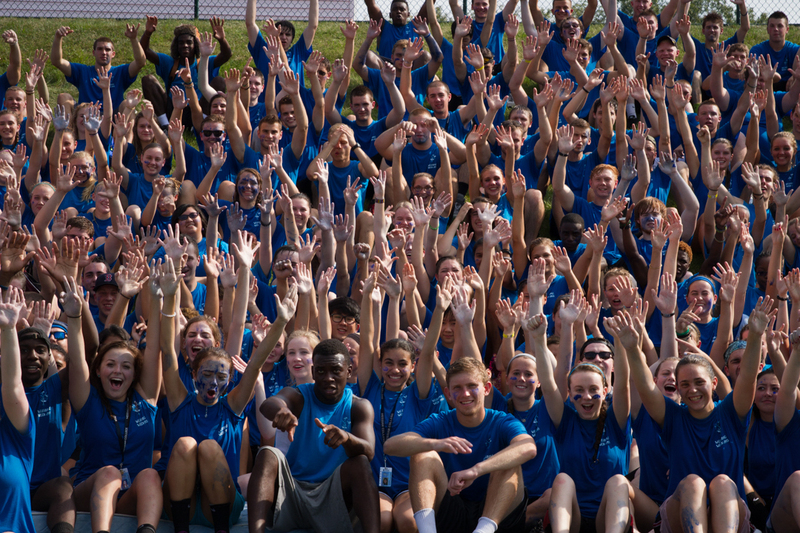 Naugle Residence Director Josiah Hatfield will always remember today, Saturday August 29th, as the day Naugle won the first-year residence hall games. Naugle was the ultimate victor in this afternoon’s annual Res Hall games held at Starry Athletic Fields. “It’s like dreams coming true,” Hatfield says while showing off the coveted Golden Torch. “I’m going to be displaying it proudly in my office,” he says. Bittner resident Kaylene Mummert says the high-energy atmosphere was the best part of the games. “I liked the energy and the competitive attitude,” she says. The halls demonstrated their competitive spirit during the name spelling competition. Students scrambled to spell out Naugle, Witmer, and Bittner with their bodies. Naugle took the prize for this game, as a student performed a split at the bottom of the “U” and two groups formed exclamation points at the end. Next the halls participated in the Rock Paper Scissors contest. Witmer resident, Emma, won this game for her hall. “I enjoyed rock paper scissors because we got to cheer for each other and meet new people. We all joined together to cheer on the winner,” says Witmer resident Jade Bair. 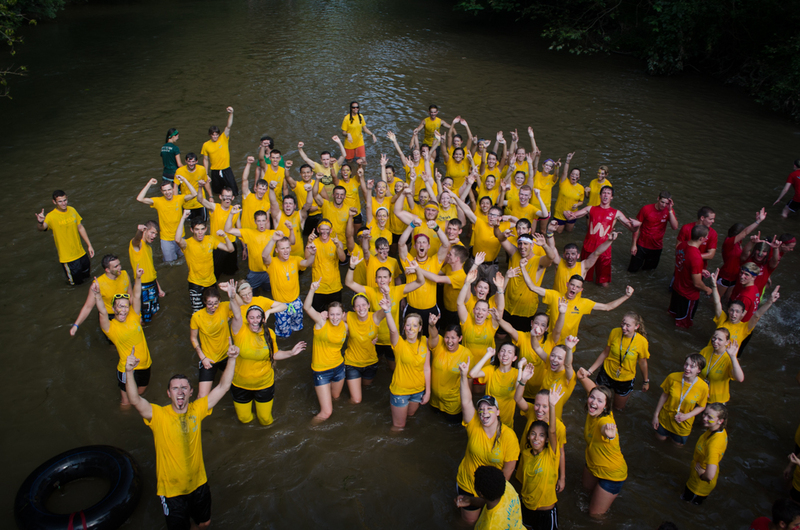 After rock paper scissors, first-year students passed buckets of water through lines during the water freeway event. The lone Bittner line of students beat out the two Naugle lines and two Witmer lines. Following a quick water break, the halls split up into floors, then sides, and finally by building for the awkward but endearing sitting contest. Bittner won this round with Naugle taking second, and Witmer third. Despite the various activities at the games, some students just enjoyed being with friends. “Being with my friends was my favorite part. We put in that work, got that victory, and now we’re champions,” says Naugle resident Jamar Gittens. However, many students say their favorite event is the final ultimate relay. Naugle held a lead throughout the hula hoop portion of the event and expertly leap frogged and carried their mattresses to the breeches. Bittner resident, Kira Adelman said this part of ultimate relay was her favorite. “I really liked leapfrog. It was really fun and awkward at the same time,” she says. After leapfrog, Naugle’s hard work paid off as residents pulled Hatfield to victory. In the Breeches, Hatfield held the torch amid “I believe that we will win” chants from happy, blue-shirted residents. “It was a good experience. We don’t lose in Naugle,” said Naugle resident Javon Turner. Although the residence hall games are first and foremost a competition, all residents enjoyed the traditional jump into the breeches at the end. “Jumping in the creek at the end was my favorite part of the afternoon,” said Bittner resident Taite Daisey. 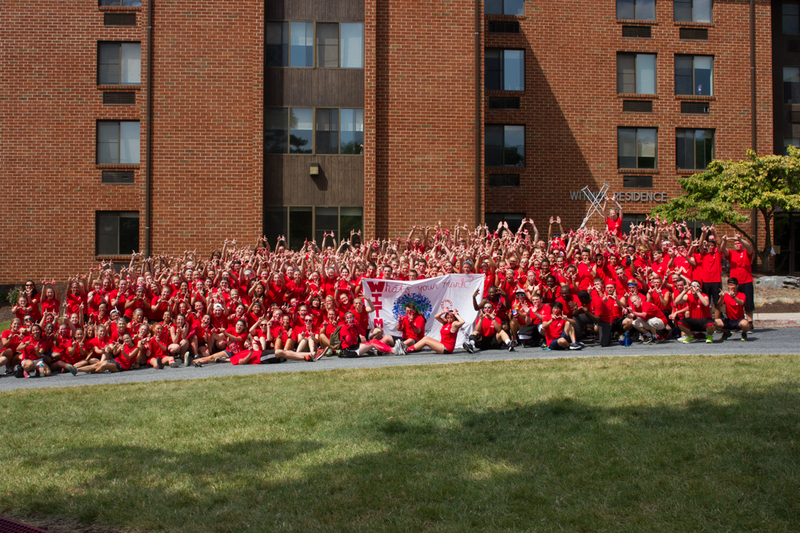 Naugle will hold the Golden Torch until next year’s first-year dorms battle again. To see photos of this year’s Residence Hall games, check the Pulse’s Facebook page.